ON paper it looks like a big loss and could indicate a backlash against Tony Abbott but the state election result in Manly is not the blow it seems. With the high profile campaign against Mr Abbott hotting up, many were wondering whether locals would punish the Liberals in the state election too. On some numbers it certainly appeared so. With about 74.1 per cent of the vote counted in the electorate of Manly, there has been a two-party preferred swing away from the Liberals of about 13.1 per cent since the last election. But this figure is not as bad as it seems. Liberal MP James Griffin has so far got about 53.8 per cent of the primary vote. This is a huge drop of about 20 per cent compared to the 66.54 per cent that former premier Mike Baird had in 2015 when he was the MP. But looking at the vote a bit more closely, Mr Griffin looks to have actually increased his vote. Support for the Liberals dropped dramatically in 2017 when Mr Baird retired as he was very popular locally and had a high personal vote. At the by-election, his replacement Mr Griffin attracted just 43.84 per cent. Less than two years later, Mr Griffin actually looks to have increased this to about 53.8 per cent, even though it's still lower than the result at the last state election. Mr Griffin was one of the few Liberal MPs to increase his vote. "All I would like to say is that I am humbled to receive a massive boost of more than 10 per cent in my primary vote," Mr Griffin said. "Winning the election on a primary vote alone is validation from the community that a positive vision and hard work is rewarded and sought after by voters. I am grateful for their support and will continue to work hard." While some may be tempting to read into the Manly results as showing either growing or lessening support for Mr Abbott, it's unlikely to be related. Anti-Abbott groups have been active in the former prime minister's federal seat of Warringah, which overlaps the Manly state seat, but the campaign does not seem to have translated into anti-Liberal sentiment. 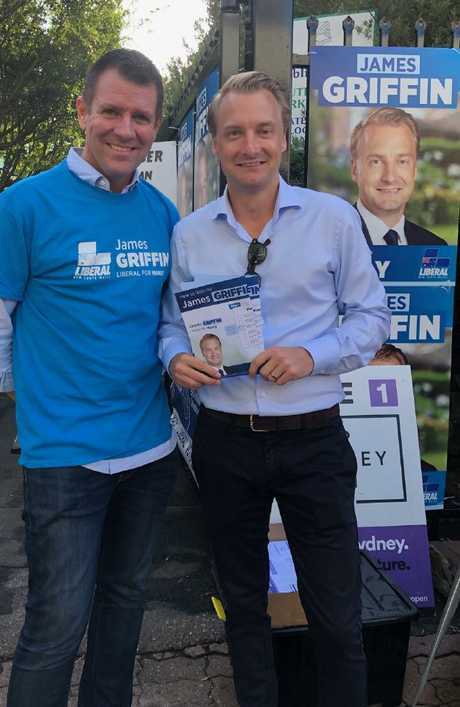 Manly MP James Griffin (right) campaigning with former NSW premier Mike Baird. Picture: Julie Cross. 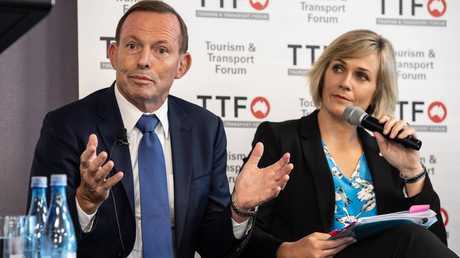 As Zali Steggall, Mr Abbott's independent rival in Warringah has even said, she has never voted for Mr Abbott but has supported Liberal candidates in state and local elections. In contrast to Mr Abbott, Mr Griffin, whose mother is a local Greens councillor, is also seen to be more liberal in his views. He is not aligned to any faction in the party, and he beat Mr Abbott's pick Walter Villatora, to become the Manly candidate. Some commentators believe NSW won't be as significant as other states in deciding the next federal election to be held in May. Of the 20 most marginal seats in Australia, eight are in Queensland, four are in Victoria, four at in NSW, three are in Western Australia and one is in South Australia. The Liberal Party has also been rocked by the retirement of senior ministers and MPs including Kelly O'Dwyer (Victoria), Julie Bishop (Western Australia), Julia Banks (Victoria), Christopher Pyne (South Australia), Steven Ciobo (Queensland), Michael Keenan (Western Australia), Nigel Scullion (Northern Territory) and Craig Laundy (NSW). Liberal senator Arthur Sinodinos told Insiders this morning that the NSW election was a "morale boost" for the coalition but acknowledged the result reflected the good work of the Berejiklian government. "It showed a government that's managing a strong economy, is delivering infrastructure and is getting on with the job of meeting the needs of people in the great mainstream out there … will ultimately be rewarded," he said. 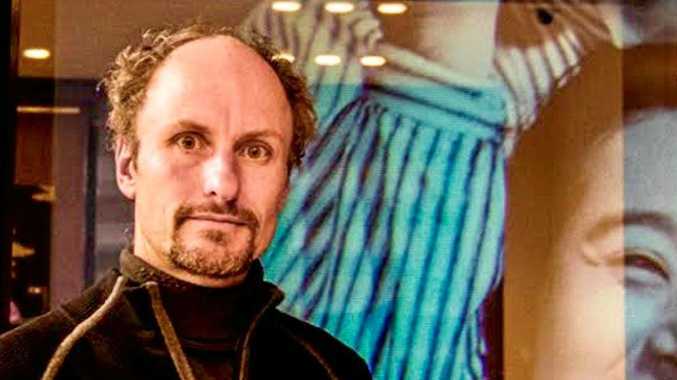 However, there is one area that news.com.au political editor Malcolm Farr believes could send "shudders" through the government: the collapse of the National vote in regional areas. "The central question for Prime Minister Scott Morrison now is: Wentworth or the bush?" Farr wrote in an analysis piece. "Do the Nationals and Liberals concentrate on the issues such as climate change important to voters in the east Sydney electorate formerly held by Malcolm Turnbull? Or cater for the competing priorities of non-metropolitan Australia?" Federal Labor leader Bill Shorten believes Labor's loss in the NSW election won't have many implications for his campaign but there are lessons he can learn. "People are hungry for vision. Politics as usual doesn't cut it," Mr Shorten told reporters in Melbourne on Sunday. NSW Labor Leader Michael Daley was defeated by Liberal Premier Gladys Berejiklian on Saturday, with the state coalition winning 46 seats out of 93 available and expecting to claim up to three more. The result has buoyed the spirits of the federal coalition, ahead of the national poll expected to be called for May. Attorney-General Christian Porter said polls have not been favourable towards the Morrison government but it has always considered it can win the election. Seeing the NSW government re-elected has firmed up that belief as the federal government is similarly focused on delivering a stronger economy and using that to invest in services and infrastructure, he said. "This proves, if you like, the underlying confidence we've had. We believe this shows that the next election is absolutely winnable," he told reporters in Perth on Sunday.